WHY IT RATES: Usher in the holidays and a new year by booking clients on voyages with American Queen Steamboat Company.—Donald Wood, Breaking News Senior Writer. 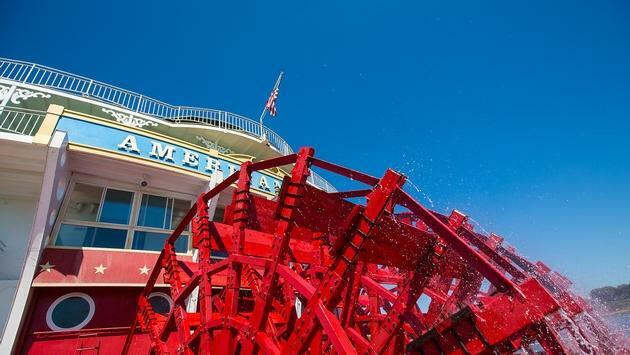 American Queen Steamboat Company, operator of the most opulent riverboats in the world, invites guests to enjoy the holiday season on the Lower Mississippi aboard the elegant American Queen and her sister ship the American Duchess. With itineraries along the Lower Mississippi River lasting through the New Year, the American Duchess and American Queen offer one-of-a-kind tours through America’s festive river ports. Holiday sailings this season will again include the popular Christmas markets along the Lower Mississippi River. Unlike the large and crowded European markets, Southern Holiday Plantation Markets feature a cozier, more intimate and authentic experience. As the American Queen Steamboat Company riverboat navigates the Mississippi waters, guests will visit Nottoway Plantation, Louisiana; Natchez, Mississippi; and St. Francisville, Louisiana, where the festivities will be located. Each port features an opulent, Southern plantation, each unique in their own way. American Queen Steamboat Company is currently running a Black Friday sale on its official website with selected 2018 Holiday Cruises available 2-for-1 (2nd guest in the same double-occupancy stateroom pays no cruise fare). Float through living history and soak in the romantic spirit of the Antebellum era on the Lower Mississippi. Guests will enjoy festive enrichment activities, delight in fabulous nightly entertainment and so much more. Picturesque natural backdrops provide the sights and sounds of Southern history. Explore the jewels of the Lower Mississippi during a magical time of year and experience the best of old world Southern opulence. Guests will be transported back in time as they visit the enchanting ports of Vicksburg and Natchez, Miss. while taking in the dramatic scenery of a region unspoiled by the passage of time. The sights and sounds of America’s rivers sprang from a variety of musical genres. From Rhythm and Blues to Country and Rock, this voyage covers the early history of American music. 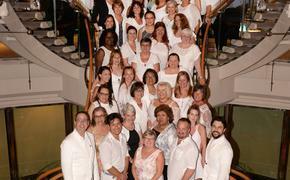 Special onboard musical performances will enhance this journey through some of the most storied ports of the South. These voyages offer guests the ability to experience authentic Southern culture in the Big Easy and along the charming ports of the Lower Mississippi. The special New Year’s cruise will give travelers the opportunity to toast a glass at midnight after a memorable voyage back to New Orleans. Offering the most inclusive river cruise experience in North America, holiday fares with American Queen Steamboat Company begin at $1,099 per guest. All journeys include a one-night pre-voyage hotel stay, shore tours in all ports, complimentary wine and beer with dinner and a host of other amenities.